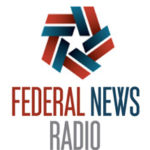 The new rules for how agencies plan for technology investments puts an extra emphasis on agile development, according to Federal News Radio. An interview with Elena Larsen, the chief of staff for EPA chief information officer, reveals that new requirements from the Office of Management and Budget, together with a stronger push towards agile, are driving new approaches to decision making around IT initiatives. “There are some new tables coming out in CPIC that instead of focusing on projects, are trying to focus on releases with number of sprints and iterations in between. We haven’t had a chance to test drive that yet, but once we do we can really see if it’s driving the behavior we want to see in projects,” Larsen said on Federal News Radio’s Ask the CIO program.